We are exciting to introduce new 2010 Minute EL-34 SE integrated amplifier to be our newest member of our "Smart Amplifier" category. Four years after the launching of the old model "2006 Minuet EL-34SE" we are certain that we have created a better Integrated amplifier not just for a better look and feel, but another level of refinement in sound. Not only we retain some of the proven technologies, but also try to perfect all of them in this new amplifier. The objective was very simple, " we must build it better or never". 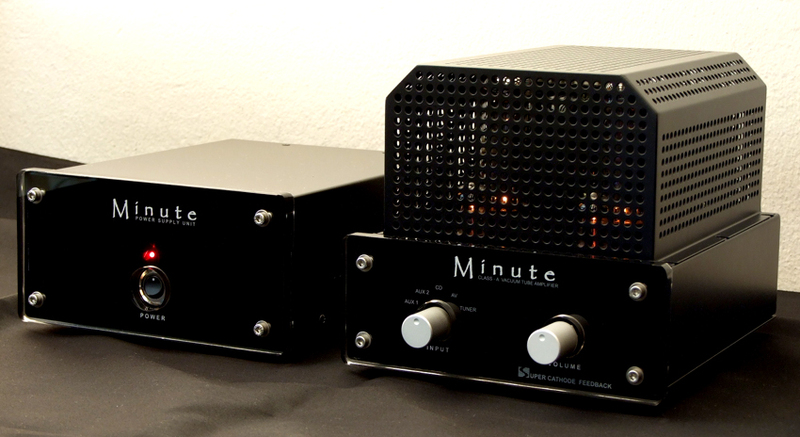 Our Minute SMART Amplifier delivers very sensational tube amp sound with stunning dynamic, accurate rhythm and pace, incredible transparency and great ambiance all of these at a remarkable compact package and affordable for everyone. In the past we introduced "Cathode Feedback" circuit topology in 2006 Minuet EL-34SE with great success and received many praises from listener around the world. 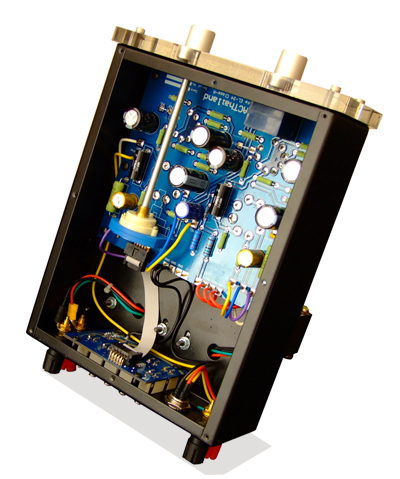 The new 2010 Minute EL-34SE has further realised the scheme to "Super Cathode Feedback" circuit. This circuit greatly reduces harmonic distortion in quite a different approach than conventional "Global Negative Feedback" and improve sonic performance without disturbing other circuit parameters. By having the output transformer with dedicated cathode feedback coil that connected directly to cathode of output tube, the feedback current path is totally isolate from other component. 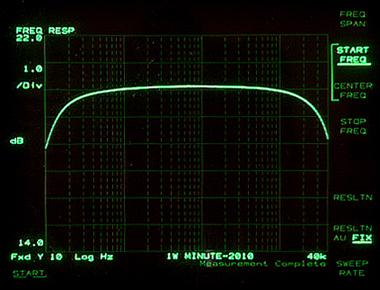 Unlike notorious global negative feedback which gain the feedback signal from secondary coil of output transformer, cathode feedback coil is virtually free from back EMF induced by loudspeaker or other kind of spurious noise, phase shift from any network circuit; therefore, only pure feedback signal is applied back to cathode of EL-34. This technique reduces THD by the factor of 10 times. Total Harmonic Distortion of 2010 Minute is less than 0.3% at 1 watt RMS while most conventional SE amp like 300B will start producing more than 1~2% of THD at same output level. Further we are able to fine tune the circuit and output transformer so that the combination will produce so pure signal with absent of higher than the 4th Harmonic at regular listening level. Moreover since cathode feedback topology does not require secondary winding to connect with ground, we can design and make output transformer to neglect any grounding effect and make this new output transformer to perform much better than ever before. 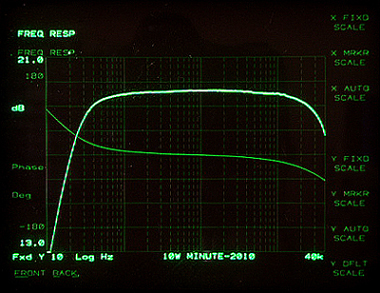 Stereo image also improves with our new output transformer since both loudspeakers are totally isolate from one another because they are floated in respect to each other (in conventional SE design the grounding path of each loudspeaker shares the same path and signal can be mutually coupled causing weak stereo seperation). Besides the use of all high quality power supply parts like UltraFast recovery rectifier, Electro-static shield handwound power transformer and high quality capacitor, we still faced same old problem...."Tube rectifier will produce nicer tone". To totally combat with this, we went to use separated power supply unit. 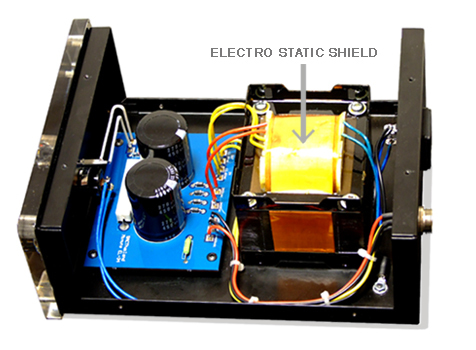 The concept is very simple by keeping all noise generators away from the main amplifier unit and shield all noise within the power supply casing. 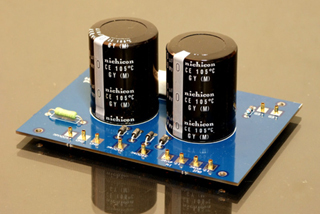 This new radical design for such a small amplifier proved to be outstanding solution and not only it help bring down hum and noise to lowest level, but also improve the tonal and clarity of the main amplifier to exceed that of tube rectifier. Additionally by separating the power supply unit from main amplifier, we are able to reduce the heat exchanging between the two sections. When heat is reduced, both units run cooler and can be operated for extended period of time without the need for forced air-cooling or air-conditioning. This also greatly extends the life expectancy of all elements in the amplifier. Another new improve design is to make the circuit perform best at any given volume control setting. 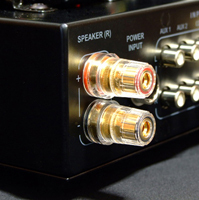 A conventional integrated amplifier will have insufficient bandwidth at low volume control setting. This problem can be easily observed as "less detail sound when setting low volume control level". This is not unusual for general circuit since volume control element increases impedance of signal source; moreover, it also acts like a low pass filter to the circuit (from deviding resistive network). With the new 2010 Minute EL-34, we use our special proprietary circuit and layout together with tube adjustment to totally eliminating this problem. At any given volume control setting, the amplifier will have the same frequency characteristic (no HF roll-off) displaying full details and transparency. to acheive maximum sound integration and sonic accuracy. 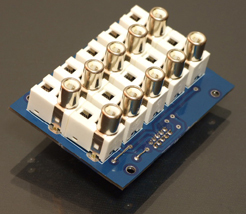 "Made in Japan (NOS)" RCA connectors are high quality nickel plating socket for pure signal transition. Interior of the Power Supply Unit and Main Amplifier Unit. The layout and assembly are carefully crafted so to ensure the best stability of each component and longest service life. In designing process of this new 2010 Minute EL-34SE, we emphasised to achieve the best performance in real-world operating condition, that is from low listening level up to maximum sound level. Figure 1 : shows actual screen shot of Minute's Harmonic characteristic. Even under very low distortion level of -51dB of THD (around 0.28%) the second harmonic still dominates the whole content with a small remaining of the third harmonic. There is no sign of higher harmonic than the third, indicates that the sonic signature will be very pure without sign of disturbing overtone.The use of Super Cathode Feedback reduces THD by large extent but does not induce high order harmonic distortion like global NFB. This reveals ideal condition of excellent sounding type of amplifier and indicates the superb circuit design and implementation. Figure 2 : shows frequency characteristic of Minute EL-34SE at 1Watt/RMS. Its response is within +0.1dB, -1.0dB from 15Hz to 30KHz. 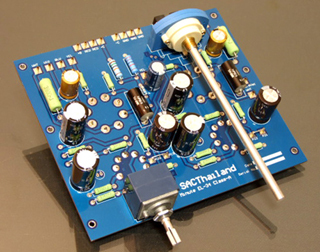 Unlike other integrated amplifier, the frequency bandwidth of new Minute is constant at any volume control setting. The test result here show volume control setting at 1/3 level (around 10 O'Clock) which most audiophiles prefer the most. 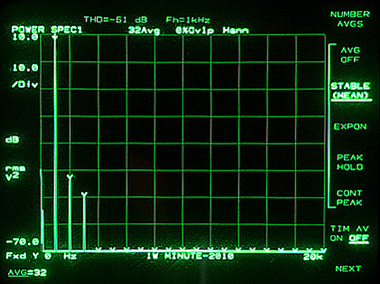 Figure 3 : shows frequency/phase characteristic at 10Watt/RMS. The response is within +0.1dB/-1.0dB from 30Hz to 30KHz (or 18Hz to 60KHz at -3.0dB) At the maximum output level, the new Minute is still maintain its response beyond audio range to dynamically produce very fast transient response. 5 selectable RCA inputs, EL34 output tube operating with Super Cathode Feedback circuit running in pure Class-A in all stages. 19 x 26 x 10 cm. (W x D x H) Weight: 4.5 kg.